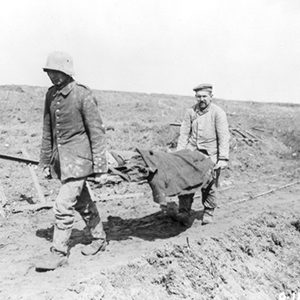 The year 1916 had seen both Allies and Germans suffer tremendous losses on the Western Front, especially at Verdun and on the Somme without breaking the deadlock which trench warfare had imposed upon a battlefield stretching from the Swiss border to the North Sea. The year 1917 was to see great changes in the opposing orders of battle. The United States entered the war in April, but many months were to pass before it could make its strength felt effectively in Europe. Russia underwent a revolution in March, but Kerensky's socialist Provisional Government, which came to power, strove to continue the war against Germany. Not until November did Lenin's Bolsheviks, in a second revolution, oust Kerensky; they then proceeded to make peace. In these circumstances, the 1917 campaign in the west witnessed another series of great battles of position, bloody and, in the strategic sense, inconclusive. The original Allied plan to continue the Battles of the Somme during the spring of 1917 with four French and three British armies was cancelled when General Nivelle, a comparatively junior officer, was appointed Commander-in-Chief of the French Armies of the North and North East and entrusted with the overall direction of the spring operations. Instead of waging a campaign of attrition Nivelle hoped to break the enemy's will to fight by a smashing blow delivered by 46 French divisions along the Chemin des Dames (between Reims and Soissons) while diversionary attacks were mounted elsewhere on the British and French sectors. Field-Marshal Sir Douglas Haig agreed to extend his Fourth Army's front 25 miles southwards so that additional French divisions might be withdrawn for Nivelle's offensive, but insisted that his own more limited preliminary attack should extend as far north as Vimy Ridge. The acquisition of Vimy Ridge, in addition to securing the left flank of the operations to the south, would deprive the enemy of a valuable vantage point. The task of capturing it was assigned to the Canadian Corps of General Horne's British First Army, while General Allenby's Third Army launched the main British attack along the valley of the Scarpe. The Germans, who had had even heavier casualties than the Allies in 1916, had decided to conduct a defensive campaign on the Western Front during the coming year, and to attempt to bring Britain to her knees with their U-boat campaign. While the French were changing both their commander-in-chief and their plans Hindenburg and Ludendorff were trying to decide whether to shorten their front by withdrawing from two salients south of Arras and conserve the troops saved for more urgent tasks elsewhere. Moreover the Somme battles had demonstrated that the existing system of rigid defence was no longer suitable, since British artillery had been able not only to batter out of recognition the forward trench system, 400-600 yards in depth, but also neutralize the entire forward zone falling within range of its guns, to a depth of 1500 – 2000 yards. Therefore, towards the end of 1916 Ludendorff had introduced a new tactical doctrine, instructing infantry to fight a mobile defence in a series of zones once the lightly-held forward trenches had been overrun; even though strongpoints might momentarily be cut off, counter-attacks by special reserve formations (supported by artillery) could destroy the attackers struggling across the forward zones cratered by their own bombardment. Steps were taken, therefore, to convert the additional authorized rear lines of defence into zones capable of mobile defence in depth. The formidable "Siegfried" position constructed behind the German salients became known to the Allies as the Hindenburg Line and its more northerly adjunct (the "Wotan" position) as the Drocourt-Queant Switch. The offensive launched up the Ancre valley during January and early February by the British Fifth Army forced the Germans to yield some ground and decided them to withdraw from these salients, although not from the stronger positions further north in the valley of the Scarpe and atop Vimy Ridge. 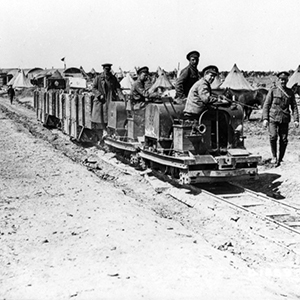 Not until mid-March, however, did they make an ordered withdrawal of nearly 20 miles into the Hindenburg Line. In accordance with a prearranged plan aptly named "Alberich" after the malicious dwarf of the Nibelung Saga, they laid waste the whole evacuated area. The German withdrawals eliminated the possibility of a French subsidiary attack and altered the operation planned for the British Third Army. The latter was now to break through the advanced defences covering the Hindenburg Line, crack that position itself and advance towards Cambrai. If this succeeded the British Fifth Army would enlarge the frontal attack and the Cavalry Corps and the available reserve divisions would exploit. 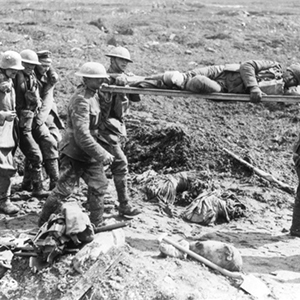 The role of the First Army remained unchanged, however, as the capture of Vimy Ridge. Both operations were to be launched on Easter Monday, 9 April. Nivelle's main attack went in on 16 April.